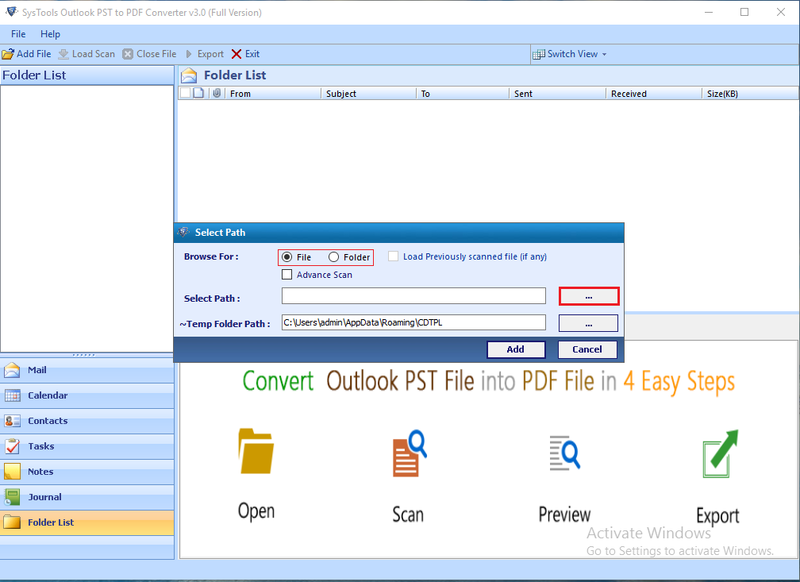 Convert Outlook email to PDF with all its Attachments: All items of PST file can be exported into PDF file format like emails, calendars, contacts, notes etc. 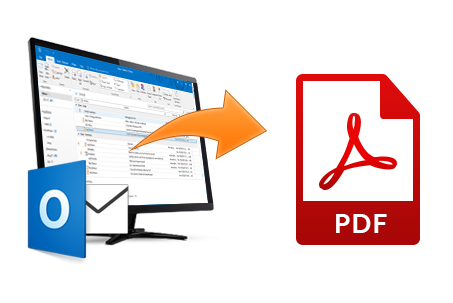 It also convert PST to PDF with attachments by inserting it with PDF file format. 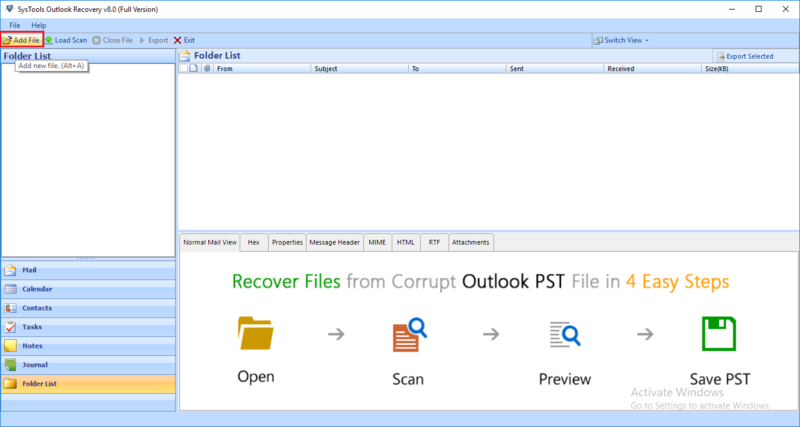 Preview Outlook PST Items with all its Attributes: Outlook PST to PDF Converter preview all items of Microsoft Outlook with its associated attributes such as email address, received and send date, contact name, calendar scheduling, etc. 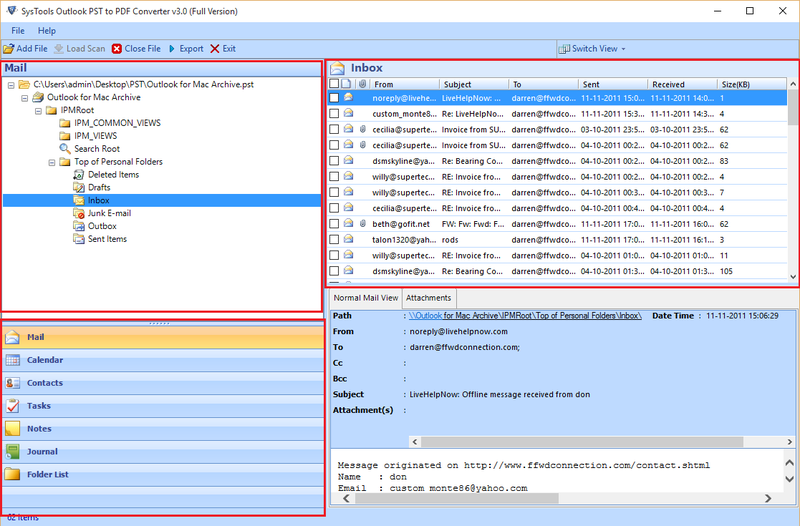 Export Selective Outlook Items: Export selective items after scanning and previewing, by checking the Outlook items that you want to save in PDF format. Export Selective Outlook folders: This option helps in batch PST to PDF conversion, click on Export button a window pop up at your screen that provides an option to check or uncheck folders you want and convert selected folder of Outlook to PDF. Multiple Naming Convention Options: Convert PST files to PDF format and apply any one of the naming convention style to save your data in a much effective manner. Multiple Naming Convention Options: Export Outlook PST file to PDF format and apply any one of the naming convention style to save your data in a much effective manner. Sort Outlook Items by Attributes: Sort item by attributes helps in sorting Outlook items with their associated properties like to, from, date, subject, size, etc. Restore File at the Desired Location: Outlook Email to PDF converter provides an option to save converted file at the desirable location. Reliable: PDF file format is a most reliable to communicate with others, as you don't need to think about that whether the people have the same software that you had to create the originals. Open standard: It’s the integrity and longevity of billion PDF files in existence assured by open standard foundation ISO 32000 including PDF for archiving, engineering, printing etc. Trusted: PDF is found as a most secured file format for exchanging information as it provides features like password protection. Thus, converting Outlook to PDF can prevent the PDF file from copying, accessing, printing or editing from unauthorized access. Sensitive information about PDF file can also be prevented from deleting, removing or illustrating hidden text information. Multi-Platform: After using Outlook email to PDF Converter, a user can view the converted PDF file on multiple platforms, including Windows, Mac OS, Android, IOS for iPad and iPhone. Rich file Integrity: PDF file just looks like an original file and preserve source file information when text, images, videos, audio and 3D maps, etc. are combined into a single PDF portfolio. Simple to sign: PDF file Formats are simple to sign by using Adobe reader software to your system or mobile. PDF file support the basic and certificate based signatures that can be verified by an independent third party service. Searchable: When you want to find a phrase or word in a PDF file than it easy to search text, metadata and scanned text that was converted using OCR technology. Accessible: PDF specification has been expanded to work with assistive technology and makes the PDF file format more accessible. Using manual methods to convert Outlook to PDF can be a troublesome and extensive handy task for a user. In spite of searching or going for any manual method, it's better to switch to a third party utility like Outlook Email to PDF Converter.